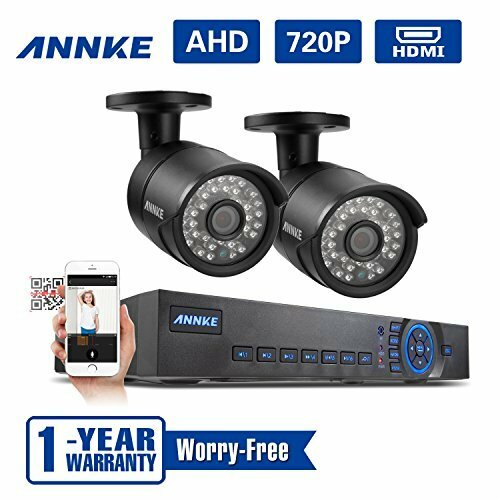 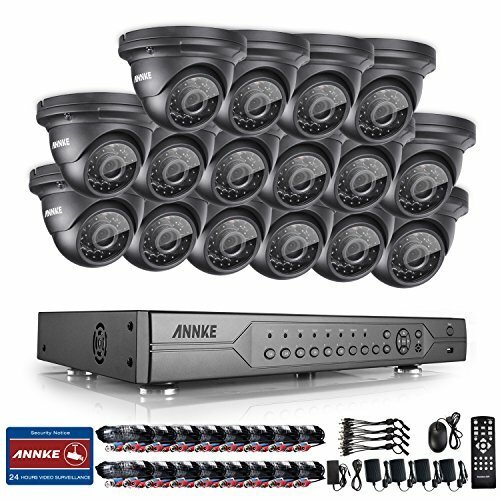 Annke New Arrive AHD(720P) Security Camera Features: * 720P high definition for crystal clear images * 36 infrared LEDs with 100ft night vision * Auto IR-Cut brings vivid day and night vision * IP66 weatherproof cameras for indoor& outdoor use 720P HD to see bigger, wider and sharper The cameras equipped with advanced IR Cut Filter for accurate, vibrant colors. 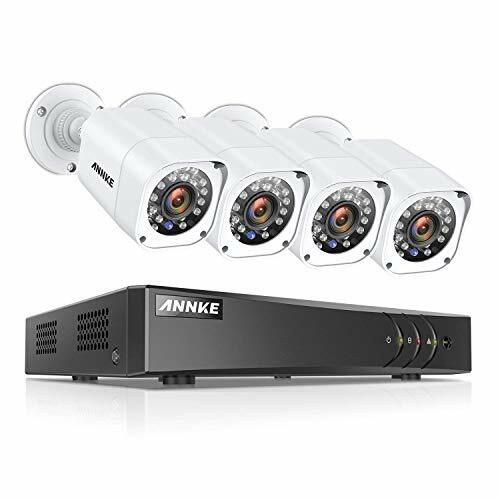 A night vision mode will capture clear, illuminated footage in up to 100 feet,better than 1200TVL, never miss any precious moment of your loved ones. 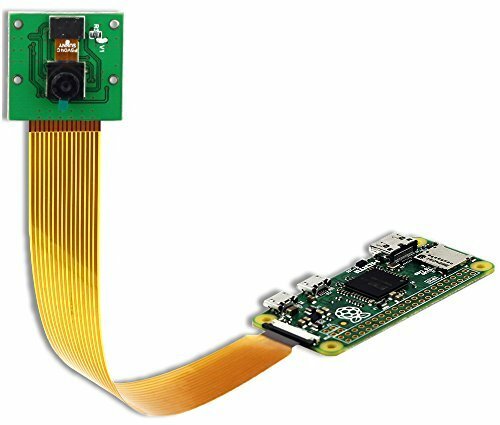 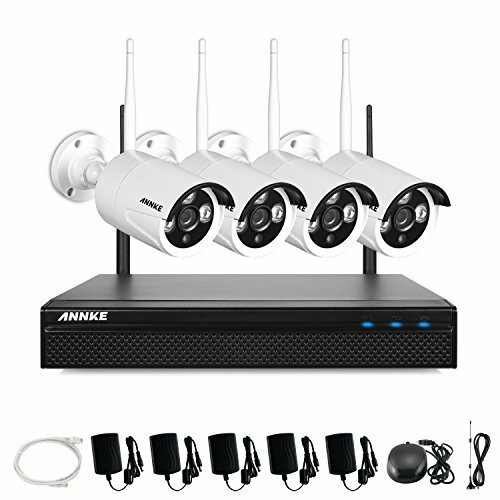 What's our intelligent security kit included? 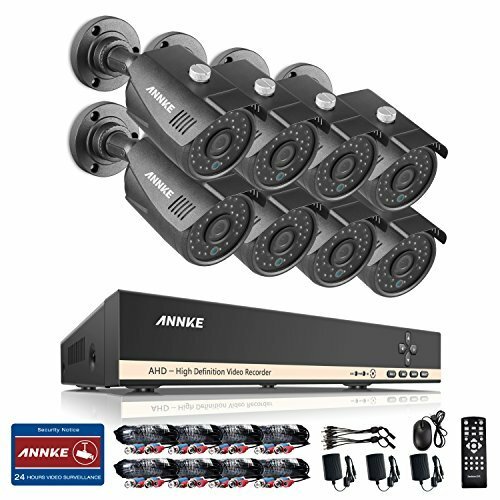 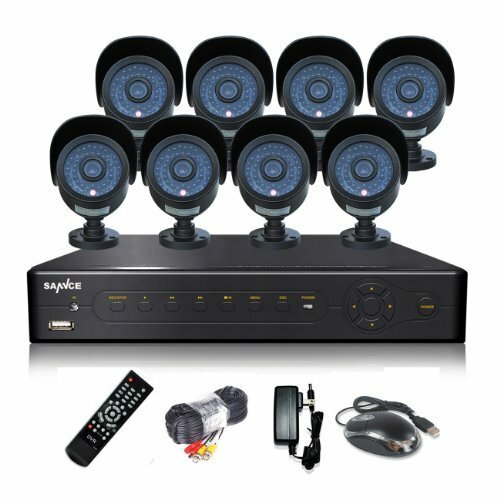 * 4×720P Wired Bullet Cameras * 1×Power Adapters * 4×60ft BNC Video Cables * 1×4-to-1 Splitter Cable * 1×User's manual Warranty: 2 Year Free Warranty + Lifetime Technical Support via Email & Telephone. 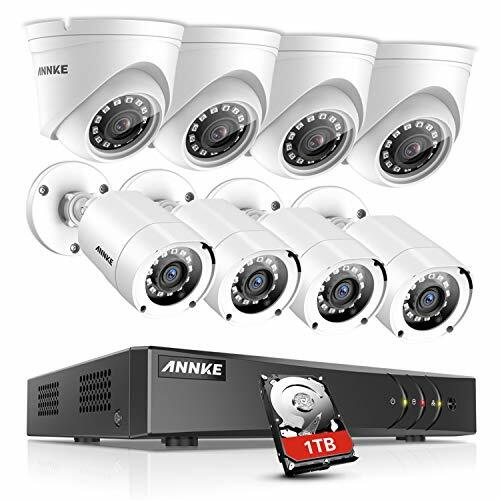 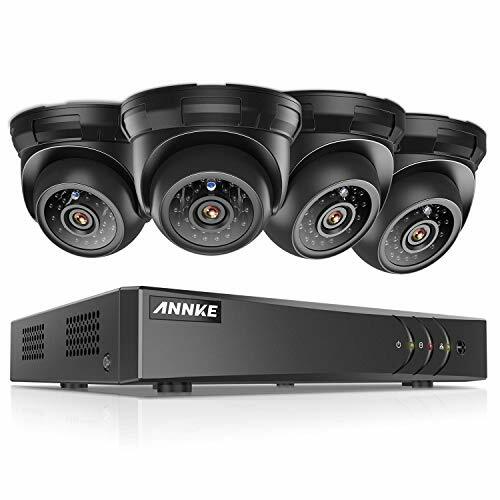 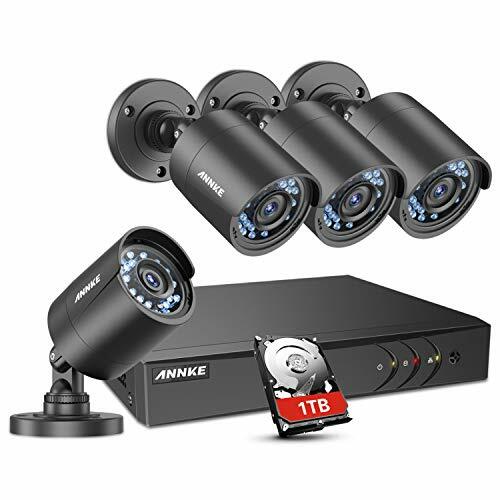 For detailed specific instructions, please visit our knowledgebase Web: annke dot com /kb/ Note: It works perfectly with 720P/1080N/1080P HD-AHD DVR systems(not included, available separately), not compatible with HD-TVI/CVI/Analong DVR System. 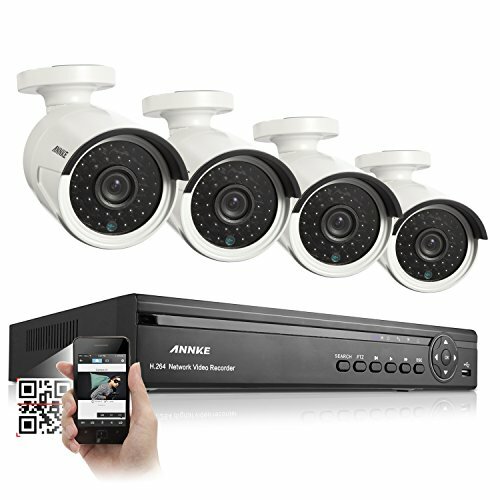 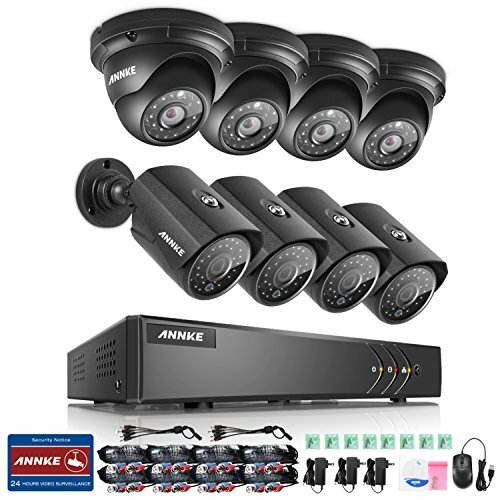 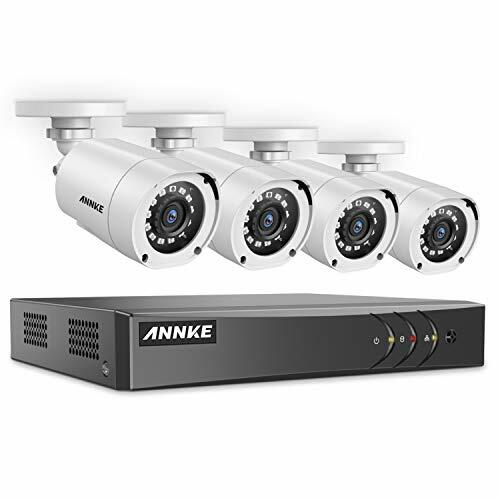 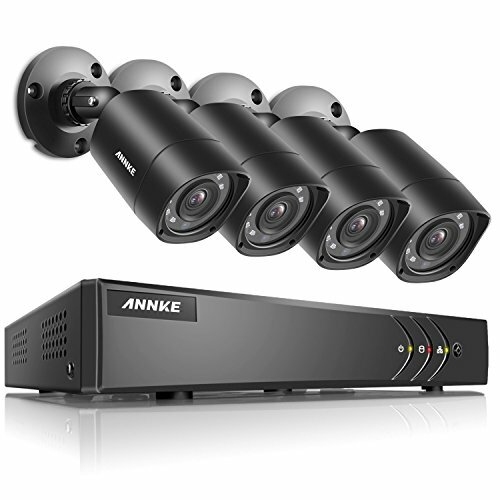 Annke Professional Smart HD Security Camera System: Simple, Reliable, Secure. 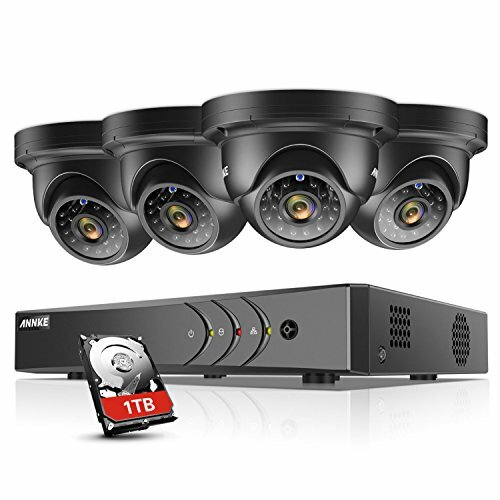 Record high quality widescreen video through 4 1.0MP hi-resolution cameras, further enhanced by DIY installation & setup almost effortlessly: DVR's robust yet simple software interface makes this system a paragon of friendly engineering.New cornerstone in consumer market for private security technology: amazing DVR/HVR/NVR 3-in-1, advanced motion detection, night vision, QR-Code scans for easy setup, remote web browser & smartphone viewing and exceptional long distance transmit range.Limited Budget? 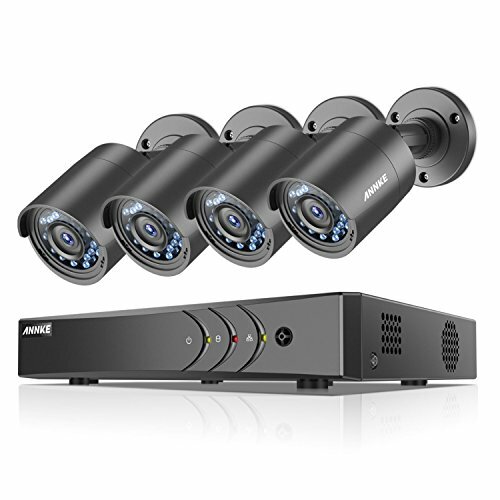 One Price Enjoys Three Modes Switch DVR: 8CH@1080N/ 8CH@720PHVR: 4CH@720P (Analog) + 4CH@720P(network) IP CameraNVR: 2CH@1080P+2CH@720P/ 8CH 720P IP Cameras*IP Cameras must support ONVIFSpecification* Video compression: H.264 (High Profile) to save storage space* Encode capacity: 8*1080N@12FPS/ 8*720P@25FPS* Video input/ output: 8CH BNC/ 1CH VGA, 1CH HDMI* Audio input/ output: 4CH RCA/ 1CH RCA* Recording & Playback & Backup resolution: 720P* Playback: 4CH 720P/ 2CH 1080N* Network interface: RJ45 10M/100M* USB: 2* USB 2.0* HDD: 1*SATA port (support up to 4TB)* Progressive 1/4" color 1.0MP image sensor* High resolution: 1280*720P* Build-in IR-cut filter, color on day, auto switch to B&W at night* 24pcs high quality LEDs up to 20M night vision* Weatherproof: IP66, indoor & outdoorPackage included* 1× 8CH 1080N/720P DVR, NO HDD included* 4× 1.0MP wired cameras* 4× 60ft BNC video cables* 1× 4-to-1 splitter cable* 2× Power adapters* 1× USB mouse/remote control* 1× CD software/User's manualGuaranteed for a Full Year from purchase with local Warranty and Lifetime Support offered exclusively by Annke via Email or Telephone.